KTR Promotions in Venice Beach & Los Angeles California: The Art of Veronique Periano to Featured at The Upper West, August 26th! 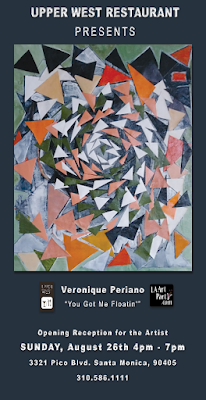 The Art of Veronique Periano to Featured at The Upper West, August 26th! The Upper West celebrates the art of Veronique Periano in a solo show entitled You got me floatin’. Born in Algiers, Algeria from French parents, Veronique Periano has lived all over France. She spent her childhood and teenage years in Marseille and was drawn to art at a young age. Starting first with arts and crafts, she focused her creative skills on painting in 1992 and has continued ever since. 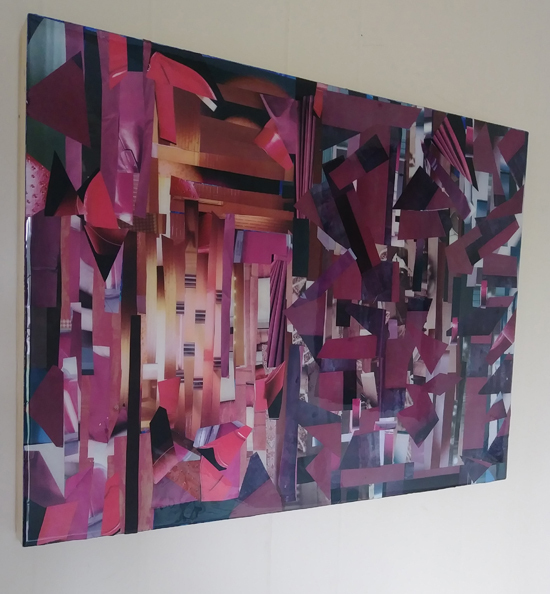 Periano will be exhibiting work over seventeen paintings created in 2017 and 2018 as part of her solo show. The artist works on her paintings diligently. The next piece is always on her mind. Her art is inspired by her love of colors, nature and the victory over the struggles of life. 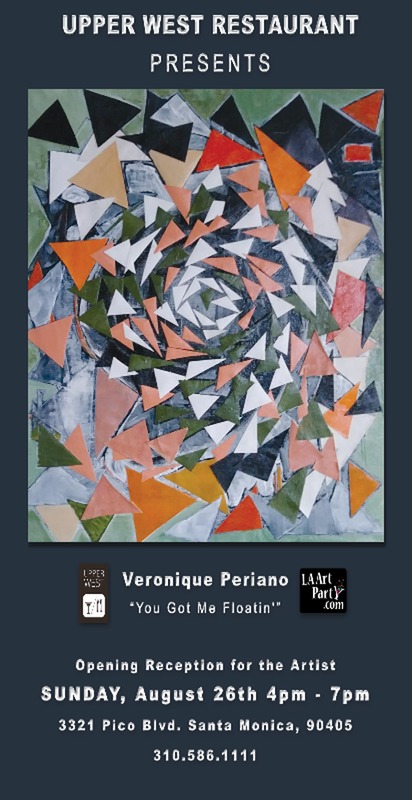 Come meet the artist Veronique Periano on August 26th, 2018. All are welcome to attend the opening reception for You got me floatin’ on from 4-7pm at the Upper West Restaurant located at 3321 Pico Boulevard, Santa Monica 90404. They have a few large flat screens in the hall but not too many to make this a sports bar. It's all about the beer at event space San Francisco here. Long lines of taps are behind each bar sporting an impressive array of craft libations.